important to understand that regular maintenance and proper servicing can extend the life of your home’s plumbing and save you a lot of money and hassle. Catching small problems before they become larger ones is key to keeping your home’s plumbing system in good shape. However, when you notice a burst pipe or a water leak, time is of the essence and these urgent situations need to be handled quickly and efficiently. 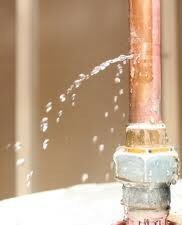 Have a plumbing emergency that needs proper care and immediate attention? Call AmeriServe your emergency plumbing specialists, today at 1 (800) 367-5309. We are committed to providing the best service possible when caring for your home’s plumbing so you can get back to your routine with the least disruption possible. AmeriServe can provide the fast, trustworthy assistance when you have a plumbing emergency, and we can also help with any plumbing renovations or replacements needed in your home. We can also save homeowners money by introducing energy efficient tools such as tankless water heaters and low flow toilets. We can even recommend the most efficient shower heads for your bathroom, and save you hundreds of dollars each year. Having your plumbing repaired by professionals makes good sense. In the case of water heater installations, it is very important to have a professional plumber do the installation because an incorrectly installed water heater can be more than a nuisance, it can be deadly. AmeriServe can also help ensure that your plumbing system is cost efficient and help you save more money on energy costs. We can also help detect problems in older homes, such as deterioration in pipes, that could lead to leaks and water contamination that could cause the water in your home to become unsafe for consumption. Looking for a fast, reliable company to service, maintain, or repair your plumbing system, and is available to you 24 hours a day? Call AmeriServe your Local Emergency Plumbing specialists, today at 1 (800) 367-5309.